Earlier this year, I started a new feature in which I review my purchases a year later to see how well (or not) they have worked out for me. Although I periodically reviewed past purchases previously, I got the idea to review things from a year ago from Mette of “The Yogastic Shopping Planner” (see her most recent edition HERE). Sometimes my purchase updates will cover just one month (as my last one did – I bought a lot in April 2015), but most of the time they will encompass two or three months – or even longer, as was the case with the 2014 review I published last week. Today I’m going to look back at the items I bought from May through July of last year. Those were fairly moderate shopping months for me, so it made sense to cover them all together. I will share some basic numbers, let you know what I still own, and reflect on which purchases were good and bad and why. I’ll close this update by encapsulating the lessons I learned from reviewing the items I purchased a year ago. I hope that reading this update will inspire you to take a look at your purchases from a year ago to see how well they’re serving you. Taking the time to do such a review can be quite eye-opening and is well worth doing. The photo below shows all 19 of my May through July 2015 purchases. These are the 19 items I bought during May through July 2015. I still have these 13 pieces from May – July 2015. I returned these three items purchased at the 2015 Nordstrom Anniversary Sale. Black draped collar jacket: This was a cute and comfortable jacket, but I ultimately chose to return it for two reasons. First, it only looked good when worn closed and I like to be able to wear my jackets open. Also, it looked a bit too dressy for my skirt and dress ensembles and I felt it was too short to pair with jeans and trousers. Blue striped open cardigan: This was probably one of the most comfortable garments I’ve ever tried on. I love the way it felt, but the color and print combination just wasn’t the best for me. I have quite a few printed tops (mostly stripes, as you might guess), so a solid cardigan is a better bet for me. If this cardigan style is part of the Nordstrom Anniversary Sale this year and is offered in a solid that I love and is flattering on me, I will very likely pick one up. If nothing else, it would be perfect for wearing at home on cooler days. Dark wash pull-on jeans: I really wish these jeans would have worked out, as the pull-on style is quite comfortable. Sadly, the length was off by close to an inch. I thought I might have been able to make them work or stretch them out when wet, but I decided not to risk it. I really wish more jeans and pants styles would be available in tall sizes. I want to point out that these were not the only purchases from a year ago that I returned. If I return pieces within a given month, I don’t include them in my accountability updates. Most of the returns I do happen shortly after my purchases are made. Since I order quite a few things online, it’s to be expected that some of them won’t work out. With e-commerce purchases, I don’t feel that I have fully committed until I’ve tried them on when they arrive. Even though I read online reviews and consider what I order fairly carefully, there’s a large margin of error when buying online. I accept this as part and parcel of this type of shopping. It may be annoying, but it can’t be totally avoided. I no longer have these three items I bought a year ago. Black studded bracelet: I loved this bracelet and enjoyed wearing it, but one day I came home from an outing only to realize that this beloved piece was no longer on my wrist. I tried to retrace my steps, but wasn’t able to find it. The snap must have come undone at some point. This happened around one month into getting the bracelet and I was very sad to lose it. It wasn’t expensive, but it’s not easy to find such a bracelet that fits my small wrist well. I do hope I’ll be able to replace it sometime this year. I have two other black bracelets and wear them all the time, and I feel there is space for another black bracelet in an alternate style in my jewelry box. Light-wash boot-cut jeans: I bought these jeans during an online sale because most of my jeans were too loose after having lost some weight (most of which I’ve since regained). These jeans were the same style as my existing pairs, but they had virtually no stretch in them and ended up not being comfortable enough for me. They were only worn a few times before I passed them on. Luckily, they weren’t expensive, but I still should have returned them when I realized the difference. Pink print t-shirt: This shirt was also bought on sale shortly after purchasing a turquoise version (shown below) the previous month. I thought both tees would be good for wearing at home and on walks. Unfortunately, the pink tee didn’t fit quite like the turquoise one, despite the fact that they were supposed to be the same size. In addition, that shade of pink was not the best color for my complexion, as it was too “dusty.” I never felt fab in it, so it left my closet after only a few wears. These were my best purchases from May through July 2015. Of my purchases from May through July 2015, I consider 47% of them to have been wise buys. The tops are all comfortable knit pieces that are in my defined color palette and work well for my casual lifestyle. The two pairs of shoes have already made it into wardrobe “all-star” territory and were among my best purchases from last year. The vest was a bit of a “wild card” in that I hadn’t worn such a piece in many years. I hesitated to wear it at first, but it’s now one of my favorite items. It looks great paired with my casual long-sleeved and short-sleeved tops and adds great visual interest to a simple ensemble. It’s another one of my best purchases of 2015. The only one of my “good purchases” from last year that I haven’t been as thrilled with is the magenta tee. While I’ve worn it many times, it hasn’t washed as well as the other three tees I bought at the same time (striped, white print, and green). It now has a few snags in it and has been relegated to either at-home wear or as a layering piece only. I still consider it a modest success, however, as its cost per week is under a dollar at this point. Still, I think it should have lasted longer than just one year. I’m on the fence about these four items from a year ago. Black straight-leg jeans: After finally purging the black jeans I wore into the ground since 2007 (! ), I really needed to find a replacement. These were the tall version of the black jeans I had bought in April last year and returned because they were slightly too short. The problem with both these and the other pair is that they are just too high-waisted and thus uncomfortable for me. I have a tendency to “settle” when it comes to pants because they are just so hard for me to shop for. I’ve worn these jeans a few times, but usually don’t reach for them. I still would love to find my “holy grail” of black jeans, but these aren’t it! Lavender workout top: This was a duplicate of a turquoise workout top that I liked a lot. As with the pink tee I wrote about above, the fit is not the same as the original. This top is just too long and hits me at an unflattering point. It’s also not really my best color in that it’s a fairly pale pastel. Why didn’t I just return it?! I can’t try to shrink it, as the shoulders might end up being too tight afterwards. I’ve considered having it shortened, but that might be “throwing good money after bad” (see my thoughts on that issue here). I wear it occasionally, but usually reach for the turquoise version if it’s clean and available. It’s so frustrating when items that are supposed to be the same size vary so much! It’s also frustrating when tops are too long on someone who’s as tall as I am! Turquoise tank top: Can you handle yet another version of the same tired story? This tank is supposed to be the same size as the cobalt one I included in my “good purchases” above. However, it has a snugger fit that’s more obvious given its lighter color. I feel self-conscious in it because it makes my bust (which is already larger due to menopause) look bigger. I know some people would love to have that “problem” or have it much worse than I do, but I’m used to having a smaller chest and felt comfortable that way. I’m finding that I don’t like to wear my tops as tight as I did in previous years, so I don’t plan to purchase any more ribbed tanks in the future. I’ll see if I end up wearing this tank top this summer (our warm weather has just started this week). Two of these items (denim jacket and turquoise tank top) are pictured in outfits below. What do you think? I actually like the outfit on the left, but the top is tighter on me this year since I’ve regained some of my lost weight and my hormones are all over the map. I know it’s hard to see the fit of the denim jacket due to my crossed arms, but I couldn’t find any other photos that included it (I don’t take photos of all of my outfits). If you have insights on these pieces, please share them with me. Be careful with “duplicates.” Two of my purged items and two of the pieces I’m on the fence about were supposed to be duplicates of existing garments in my closet. It often seems like a “no-brainer” to either buy another color of a loved item or to order a replacement online for something we love. However, sizing can be very inconsistent, as can fabrication. When I saw that my duplicate versions didn’t fit or suit me as well as the original versions, I should have returned them! I also need to be careful with color and not buy anything that will end up washing me out. Never settle, even with hard to find items. Yes, it’s frustrating that it’s taken me a long time to find good black jeans, but now I have an expensive pair in my wardrobe that I don’t love and rarely reach for. It would be far better not to have a pair of black jeans now than to feel guilty every time I see the “less than” version hanging in my closet. If I don’t absolutely love something and can’t wait to wear it, I should either not buy it in the first place (ideally) or return it to the store once I realize I’ve settled for second best. Don’t cling to the same styles year after year. I’ve long been a fan of fitted tank tops, but they aren’t as comfortable or flattering as they used to be. My body is changing, as are my style preferences, but when I look in my closet for tops to wear with skirts, I’m mostly faced with a sea of ribbed tank tops that I’m not as excited to wear anymore. If I would have stuck with Mo of MOderate Wardrobe’s “rule of three” for avoiding oversaturation, I wouldn’t be in this pickle. I really need to stop buying the same types of pieces over and over again and instead integrate new styles and silhouettes into my wardrobe when I shop (I also need to buy less, but we already know that!). I firmly believe that the time we take to track and analyze our wardrobes is time well spent, especially for those of us who are working to overcome compulsive shopping and “closet chaos.” You may not photograph all of your pieces like I do, and you may not remember exactly when you bought something. However, you probably have a good idea of how long something has been in your closet. Guess if you need to, but look at what you bought roughly a year ago and see how you feel about it today. Do you still love it? Did you ever? Is it being worn regularly? Why or why not? What lessons can you learn from your purchases from a year ago? Many of us often spend several hours or more trying to find the perfect item online or in a store. So why not invest a little time to review how well you did with your shopping after a year or more has passed? Analyzing your purchases may not be as enjoyable as shopping, but in the long run it can save you from having a closet full of clothes you don’t wear, as well as inflated credit card bills! I hope you found this post both interesting and helpful. I also hope it has motivated some of you to do purchase analyses of your own. If you do, I’d love for you to share what you learn! Now it’s your turn to offer your thoughts and insights. Have you ever done a purchase analysis? If so, what did you learn? How do you feel about the clothes, shoes, and accessories you bought a year ago? How many have become wardrobe workhorses versus “benchwarmers”? How many of your May through July 2015 purchases would you buy again today? How do you ensure that you make fewer mistakes when you shop? I invite you to share your practices and methods so we can all learn from each other. Have a wonderful weekend! I’ll be back next week with my June 2016 “useful links” installment (see previous versions here) and more posts on shopping, wardrobe management, personal style, and living a fuller life. I agree with everything except maybe the not staying with the same style year after year. Whenever I don’t stay, it seems it’s a mistake. Part is that I know what I like–good; part is I am a creature of habit–not so good. The duplicate thing rings true for me about 95%. If I really love something, I go for similar. I think, though, I am comfortable with similar items at a time and over the years, too. Maybe the bet advice is know yourself, and what will work for you. 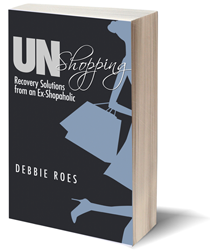 Still loving reading your writings, Debbie, and wishing you the very best in life. You are looking good and I hope feeling the same. I think it’s good to know what we like and to have a defined style, Helen, but of course it’s a balancing act. It’s nice to inject a bit of “new” in from time to time, just not TOO much. I don’t think duplicates are bad, as long as we wear them. You seem to have a very good handle on your wardrobe and don’t fall into the traps that some of the rest of us do. Yes, “know thyself” IS the best advice, for our wardrobes and in life. Thank you for your kind wishes! The turquoise color of the tank is magnificent on you. I vote to keep. Perhaps you could stretch the chest area? But the fit in the arms is good, isn’t too loose, and you can always use it for a great blast of color under black (or that white tie cardigan I thought was so flattering : ). Turquoise is a great color on almost everyone. If you decide to go gray, it looks great with that. And with black, brown, red and blond hair! I do know what you mean about too much of one thing. I have a ludicrous quantity of t-shirts, many of them too snug, from the time I seemed to think that was a good idea. I am so tired of them! However, many of them are 100% cotton, so I keep them. For health and comfort reasons, I’ve been only buying and mostly wearing all cotton lately. As for the jean jacket, I haven’t ever been able to find a flattering and comfortable one, and denim doesn’t look good against my face, so I gave up long ago. I’m not a big fan of them, so my advice wouldn’t be very useful in that area. Sorry about the bracelet. I so know how that feels! If it were me, and it isn’t, I’d think long and hard about replacing it though. You have inspired me to amp up my efforts to downsize my jewelry collection. My first urge when I get rid of something (or lose it, like one real gold hoop earring) is to replace it, but I’ve been holding off and letting myself really assess whether I should add to the mass I already have. I recommend keeping the turquoise tank as a layering piece, as ocd suggests. You inspired me to do my own analysis of my purchases from May to July 2015. I bought a total of 16 items during this period (May-7, June-0, July-9 [Nordstrom sale!]). Of those, I purged only one (a slub T shirt whose fabric seemed to crawl around my torso). Of the 15 items remaining, 12 have turned out to be really good purchases that I wear a lot. The three items that remain in my closet, but are rarely (or, in one case, never) worn were all purchased in July, and each fails for a different reason: The sheer woven fabric inserts sewn into the shoulders of one white T shirt turned out to be itchy; the long sleeved blue dress I bought for work is not as flattering as I’d hoped; and I have yet to wear the black cocktail dress, perhaps because I bought it for a fantasy life, and perhaps I was influenced by shopping with my husband, who really liked the black dress on me. This was a good exercise — thank you! You might be able to find a replacement for the black studded bracelet on Ebay or Poshmark. I lost a necklace that I had bought at Eddie Bauer once at the mall. I retraced my steps through the mall and back to my car but didn’t find it. I came to the conclusion that someone else was enjoying my necklace. Since I lost it, I allowed myself to buy another necklace free of guilt. You might find a replacement for the jeans you have been wearing since 2007 on Ebay. I know that Diane Gilman jeans on HSN come in tall. I don’t know if NYDJ jeans come in tall. I do wear NYDJ jeans in petite and the newer styles have a lot of stretch which is very comfortable. I did want to suggest that you consider dying the leather sandals you showed a few posts ago cobalt blue. I took an old purse of my sisters and used Tarrago leather dye to dye it a brighter shade of red. (I wanted to match the color of the visible zippers.) There are YouTube videos and DIY pictures on-line for dying shoes. I suppose one could dye belts too. I didn’t think of that until now. I would suggest using a set of artists brush instead of the sponge that is in the leather dye kit since the dye is very watery. Plan on doing at least 6 coats to cover. Have you considered wearing the black print top and chevron skirt together? That could look kind of cool. Also, I saw quite a few striped tops on Chicos website the last time I looked. http://unefemme.net/2016/05/travel-friendly-neutral-separates.html ) or the kimono tops at Anthropologie. Since you like stripes, you might want to play with some bolder prints in your favorite colors. You could always take a scarf/saraong and tie it into a cape shape. Thanks for your comment and all of the great tips, Maggie. I didn’t think to look for a replacement for my black jeans on eBay, but I think the style may be a bit dated. NYDJ jeans do have some styles in talls and that’s who my black jeans from last May are from. Their styles are just too high-waisted for me, as I am quite short-waisted. I like a mid-rise. I will check out Diane Gilman jeans to see if they could possibly work. Someone in the “End Closet Chaos” group suggested dyeing my turquoise sandals cobalt, too, but didn’t give me any tips. I was going to see if the cobbler who dyed a purse and boots for me a few years ago might be able to do it, but I don’t know if he would have the right color. If not, I will see if I can do it myself or enlist my husband to do it (he has MUCH steadier hands than I do). I never considered wearing those two pieces together, but it’s worth a try… I like the colorful topper with black in the Une Femme post. Such a piece could be good for some of my outfits that look too plain when I take off my jacket. Great post, love seeing how much you’ve held onto. I shudder to think of how few items I still have from that time period last year. I didn’t buy much, but I’ve purged a lot since then. You could also just dye them black, as black is a core color for you. Boring? Maybe. More useful to you? Only you could say for sure. Personally speaking, I’m not sure I agree with Bridgette Raes that having colored shoes is for everyone. I used to love looking down at that pop of color on my feet. Over time, I realized people were looking at my feet and not my face and so I got rid of all of those cute colorful shoes I once had. My shoe wardrobe is now very boring, but people’s attention is (hopefully) focused closer to my face where I put my brighter, lighter colors. A while back, you had readers write down everything in their wardrobe. I not only did this, but while I was at it, I organized the clothing by where I would wear it “work” “out and about” “home/sleepwear”. This showed me the “holes” in my wardrobe where I could really use another piece. I was all ready to buy to “fill in the holes”, but then I had a different idea. Like you, I’m trying to not buy as much (my purchasing setpoint is, alas, much lower than yours but same idea) and so instead of buying, I’m trying to “go without” buying for a few months. I will admit it was kind of weird at first, but I adapted by putting the focus on really trying to appreciate what I already have, vaguely Konmari-esque. It’s been an interesting challenge and not as difficult as I thought it would be. I emailed it to my sister so she could pick out the color with my help. The dye was < $10 on Amazon. You can always dye them another color when you get bored. (You can even go lighter – I have seen people do it on the internet.) The kit does have a sponge and a brush but they are poor quality. 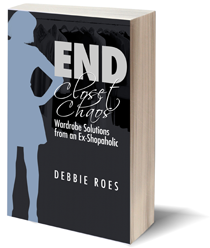 Debbie – you could always try on different brands of jeans at Nordstrom. I know that their return policy is awesome. If you are looking for something specific, you can always ask your readers for suggestions. My issue with the tank tops and skirts is that they are a lighter weight material and I think they would look better with a lighter weight topper. A modern print could really make those pieces rock. Other readers might have other topper suggestions. Thanks for answering my questions, Jane and sharing your success with pausing instead of buying. We usually DO have a lot more things in our closets that we can love and wear than we think. When we focus on new, new, new all the time, we can neglect pieces we own that would work quite well for us. Congrats on letting things go and not just running out to fill your closet again right away! Maggie, one day I spent at least two hours trying on pretty much every pair of jeans that Nordstrom offered. I think only two styles were long enough for me! I didn’t buy them because they were the type that were over $200, but I was surprised that they didn’t have more to fit me. This was over a year ago, so things may have changed, but I have good luck with Lucky Brand jeans now, so that’s what I tend to stick to. Sadly, they didn’t have a style in black that I liked, but come July or August with the fall styles coming in, that will hopefully change! Thanks for sharing the “shoe paint” links, Jane and Maggie. A quick update on my shoes… I took them to a cobbler who have dyed a pair of boots, a purse, and a leather bracelet for me in the past (they were all dyed black from their original brown after I stopped wearing brown). I asked him if he could dye the turquoise sandals cobalt and he can! It will cost $36 and I will get the shoes back on Saturday. Yes, it’s a risk for me to do this, but this guy has done great work with my other pieces, so fingers crossed! I agree that colored shoes are not necessarily a “must have” for everyone. Yes, they can be versatile and make outfits more interesting, but some of us have more minimalist styles and prefer to wear neutral shoes. I mostly wear black and pewter/silver and I’m fine with that. That said, I have enjoyed wearing my burgundy boots this year and I hope the cobalt shoes will be something I love, too. Thanks for the update, Debbie! I’d be very curious to see how that works out. That would be so cool if it works the way you wanted! You can change the color of purses, shoes and belts with fabric paint available at most craft stores. Inexpensive and durable you can even mix your own custom color. Regarding jeans: try on your comfortable jeans and measure the front rise and the back rise. Many on-line descriptions include these measurements. This will make finding the right pair of jeans easier. TOPS: 23 total of widely varying types – I won’t go through them all, although I would say I have purged about half by now. Some are for a size other than I am right this moment (kept for future fluctuations), some did not wash well, some were experiments that didn’t work out. However, that is not to say that I didn’t need or get use out of a lot of it, and a few are staples, like my graphic tees and a lovely cream/black/lace sleeveless top. Doing this has reminded me of a couple things I’d like to try to use again. I know my size has changed yet again in the past months so it can’t hurt to pull them out and see where I’m at with them. Thanks Debbie! Thanks for sharing such a detailed analysis here, Claire! I’m glad that doing this was helpful for you. You got a lot of things for $600! You must do great at finding things on sale. It sounds like a mixed bag in terms of purchasing success, but that is to be expected given the challenges you have (some of which I share). It’s great that doing the exercise reminded you of pieces you haven’t been wearing. Size fluctuations can be super difficult to deal with and is a source of much frustration for me and many others as well. Tops tend to be easier for me to wear with my ups and downs, but bottoms not so much. I will be doing a post on dressing for weight fluctuations soon, as I asked about this in the “End Closet Chaos” group and got lots of useful tips. Many of them you probably already know, but perhaps you will find a few “nuggets” in there that will help you. If you are “on the fence” about purchases from 2015, then they must not be the right clothes for you. My advice: get them out of your closet but do not replace them — with anything. I don’t keep “unhappy” purchases very long — maybe a week or two at the most (depending on returns policy and whatever my schedule allows — most things go back in a day or two). I also don’t buy things that I know won’t work with my body type, lifestyle, current wardrobe, personal style, and so forth. Of course there is a lot of disappointment to be had out there. A brand of walking shoes that I have been buying for years recently resized the style of shoes I’ve owned for over a decade. Fortunately, I only buy shoes on-line with free 2-way shipping so was able to quickly return. After more on-line research, I found a very acceptable replacement pair from another brand. ( Finding a pair of shoes on-line that my fussy feet love is a miracle.) Maybe something similar happened to your replacement jeans — perhaps the cut has been changed since the time of your last purchase. I don’t believe in giving house room to clothes that you don’t love and frequently wear with excitement and pleasure. P.S. 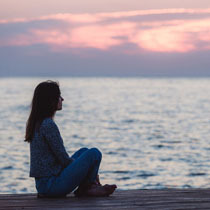 I think part of your unhappiness about the jeans jacket — such a wardrobe staple for so many people — may stem from the fact that it is a “hard-edged” garment for someone like you who favors a softer, flowing line in clothing. Also, the jacket hits you above the hip bone, giving you a short-waisted look. I think you look better and more balanced in the jackets and vests that fall below your hip line. Just saying….